The rise of organic options has been hard to miss. While choosing organic at the supermarket may be an obvious choice, sitting at your dental clinic may leave you asking questions. What exactly is a holistic dentist? And why should you consider them over a ‘regular’ one? We spoke to holistic Dental Practice de Liefde to find out. But first, what is holistic dentistry? Holistic dentistry considers what’s best for your entire body, not just your mouth. 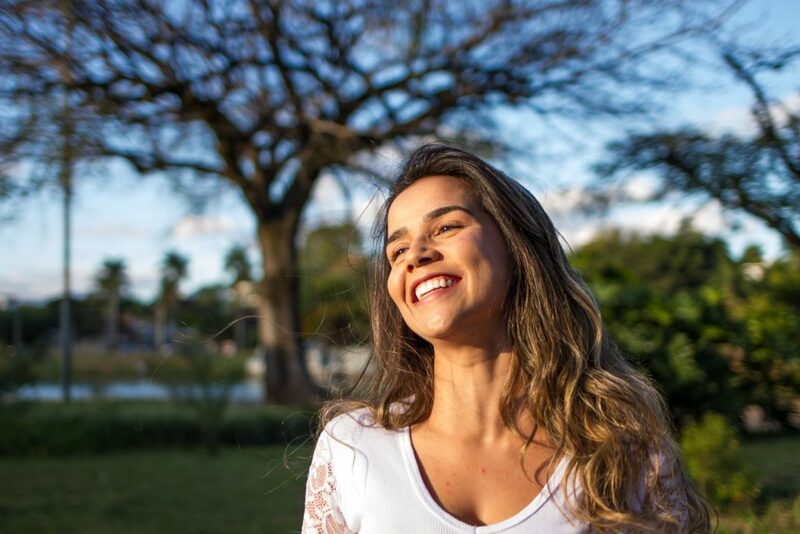 By viewing all parts of the human body as connected, a holistic dentist is not only focused on oral health, but also on the health of the person that’s attached. Steering clear of certain materials, using alternative techniques and offering complementary medical treatments, all contribute to a day in the life of a holistic dentist. Holistic dentists are extra careful with the materials they use, choosing to work as hypoallergenic as possible. In a moist environment, such as your mouth, metal will rust with the risk of going into your body – so metal braces, frames and implants are out of the question for holistic dentists. Luckily, a lot is possible within dentistry by the use of ceramics, and desired results can be just as easily achieved. A holistic dentist also prefers to use composite fillings without plasticizers-containing plastics such as BPA or HEMA. It’s been found that these chemical substances in large quantities can cause hormonal disruptions in your body, causing holistic dentists to steer clear of them. They’re also more thoughtful about standard dental treatments, such as fluoride. Holistic dentists aren’t necessarily against the use of it, but it should be checked individually with each patient if it’s even required. When a patient is healthy, eats regularly and has good oral hygiene, fluoride isn’t necessarily needed. When too much is consumed, fluoride can be toxic and unnecessary. Holistic dentistry doesn’t only consider what’s best for your mouth, but also what’s best for your body. Besides simply fixing problems as they arise, such as filling cavities, holistic dentists look at why the cavity appeared in the first place. They take your overall health into consideration, and offer complementary medical treatments to treat the root of the dental condition. A great example is Dental Practice de Liefde in Amsterdam, which offers additional treatments including: acupuncture, orthomolecular medicine and ESTeck body scan. Holistic dentists aren’t huge fans of aggressive mouthwash, as it can confuse the balance in your mouth, which can then lead to mold. Instead, they suggest considering oil pulling. This technique has a detox effect, and simultaneously whitens teeth. Use coconut oil to also satisfy your taste buds. What about how you breathe? Turns out that by breathing through your mouth, your mucus membranes and gums will dry out. Your gums can then get inflamed, which can lead to tooth decay and bad breath. Stick to breathing the way Mother Nature intended – through your nose. A holistic dental approach includes looking at what foods a patient is eating, managing stress levels, and using the right products in a dental routine. Looking at a patient’s overall wellbeing, holistic dentists believe that oral health is directly related to the health of the entire body. Although holistic dentists are trained in general dentistry to the same standards as your regular dentist, they can also call upon other skills such as naturopathy or acupuncture to enhance their patient’s treatment. Aside from offering holistic dentistry, Dental Practice de Liefde has a wide range of treatments including: general dentistry, dental hygiene, orthodontics, implantology and aesthetic dentistry. Also offering other treatments, such as acupuncture and orthomolecular medicine, the practice is open outside of office hours and on the weekends.